Image courtesy Apple Films Ltd. Magical Mystery Tour‘s millennial comeback was inevitable, if only because it’s one of the lesser-known Beatles films, which are lead by the must-see metamusicals A Hard Day’s Night and Help! But the film’s lasting value is that it’s an experimental snapshot of a period in an arty but turbulent time not unlike the current socio-political climate. It has the potential to be as prescient for the current generation as it is nostalgic for the fans who came before them. Like The Beatles’ last film (and reality-television herald) Let It Be, Magical Mystery Tour is mostly for the geeks. They trip on seeing The Beatles tripping, whether that’s on a wish-fantasy bus stuffed with extras, in a tent during a striptease, uncomfortably dancing in matching white suits, leading a cosplay parade or freaking with spaghetti. But why they’re mesmerized by it isn’t really the point. 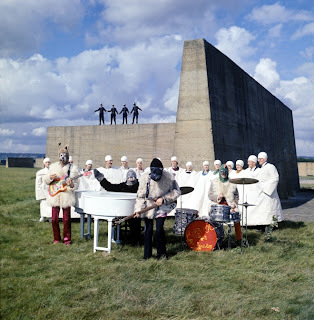 In fact, there was hardly a point at all with Tour, and if there was it would look like an empty a circle, as Ringo Starr jokingly explains of the film’s concept in the trailer below. 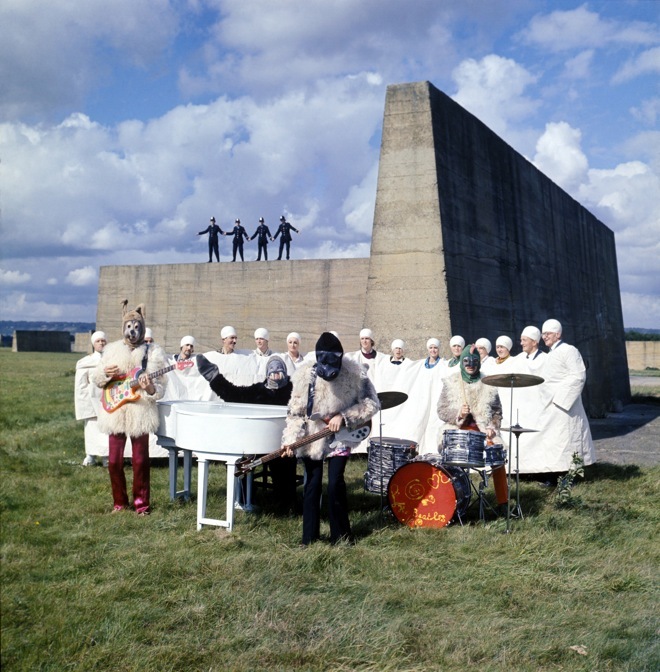 Feature interviews with both Starr and McCartney top Magical Mystery Tour‘s return journey, along with unseen performance footage, a dream scene directed by John Lennon that didn’t make the cut, and a documentary on its supporting cast (Victor Spinetti, for the unhinged win!). Beatles geeks will watch it through a critical prism informed by passionate data, such as the fact that its arrival came soon after the death of the band’s manager and friend, Brian Epstein. But n00bs needing clues will crack up as the cultural icons that invented MTV stitch together videos for proto-rap (Lennon’s “I Am the Walrus“) and deep psychedelia (“Harrison’s “Blue Jay Way“) with B-roll from Stanley Kubrick’sDr. Strangelove and nutty sketches — and then call it a film.